NHS England’s medical director is calling for the NHS to use technology to help the outpatient system. In his foreword to the Royal College of Physicians report, which was published on 9 November, Stephen Powis said it was time for the health service to act boldly or “grasp the nettle” to help reduce the estimated 118 million outpatient appointments every year. The report looks into how the “traditional one-model-fits-all approach” to outpatient care is not able to keep up with growing demand and needs to be reimagined. Part of this redesign, the report adds, is “better utilisation of the technology already available”. Therefore in his forward, Powis called for trusts and Clinical Commissioning Groups (CCGs) to embrace Skype, apps and online tools so patients could be spared unnecessary hospital visits. He said: “For many people, care can be delivered more timely and conveniently closer to home, by specialists at the GP surgery or by using technology in new and exciting ways. The report concludes there are “many digital technologies that can potentially support or substitute for outpatient consultations”, but more evidence is needed. 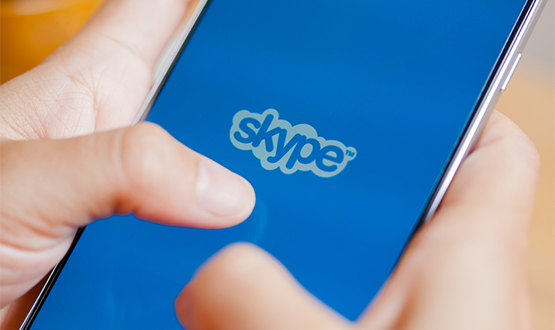 The potential of Skype and other online tools is being explored in other areas of the NHS. In February, NHS England announced a further £23m of funding for perinatal mental healthcare. This included giving new mums who experience mental ill health access to consultations through Skype. Hi Ryan:I hope you and your family are doing well.How would a rule look like that checks if a given IP address is still bound to a given interface? And if not, to call a script (the script is already rewritten which binds the IP’s)?Thank you! They should go back to using the telephone properly instead of emailing. One phone call can sort a problem whereas emails get missed, left or nobody takes ownership. Skype is a great option ! I am in a CCG area that still uses b codes and ccg email addresses and has not adopted nhs.net email! Tried this as a pilot at 12 GP sites using Skype and the take up was terrible to the point where we gave up as GPS were not using it to communicate with patients or colleagues. Seriously, Raj? Have you been hacked? Or have an impersonator? You can’t get the hump about Skype unless you’ve campaigned against the telephone for a hundred years, even longer against letters. I’m with Powis. We modernise or get eaten by Babylon et al. Work together Joe for the people that matter … the people, if people choose Babylon, like some of my family do, that is THEIR choice and they are entitled to that choice. It is NOT us and them, it is work together ! … and you are right Skype (like the majority of modern day IT) is a force for good, just ask … the kids. Consumer technology is great but meets none of the governance requirements and data security that is necessary for clinical NHS apps. By this I am understanding that Professor Powis is assuming liability as NHS Medical Director and green-lighting my clinical colleagues to start using Skype for their tele-consultations. NHSE really need to sort out their messaging on this and should stop people talking outside their area of expertise. 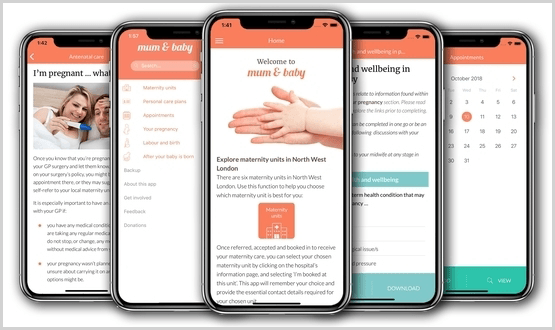 Women across north west London now have access to an app which provides a single source of trusted NHS information for all their maternity needs.